i made it to Old Road Town Bay here in Montserrat just as the sun was setting last night. 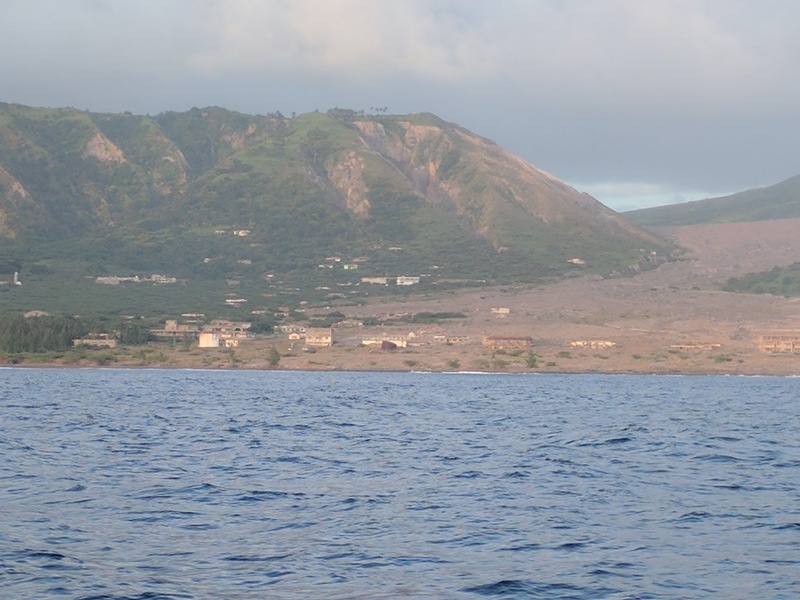 Just around the corner, on the way here was a stark reminder of the huge eruption in 1995 of the Soufriere Hills volcano, which destroyed two thirds of the island including the capital, Plymouth. Two thirds or 7000 residents were evacuated and resettled with 4000 going to the UK and others to neighboring Islands. There were 19 fatalities and the volcano is still active with a strong smell of sulphur in the air. I am heading north again today. Not sure where to. 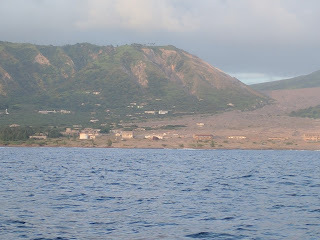 I like the looks of Statia but the wind will dictate my choice.